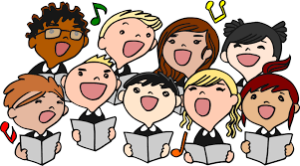 In any good choir there’s a need for coordination, each person knowing their role, working alongside others. Having the ability to sing in tune is also handy! At MEDIdesign we aim to support a harmonious team approach. There will always be a need for talent, for ability, but by breaking the activities into components we aim to ensure that the job becomes easier, much easier. Errors become hard to make (with self-checking systems), processes simple and intuitive, and hand-over to the next person/phase seamless. ← What are the chances that probability theory could transform strategies for prevention?